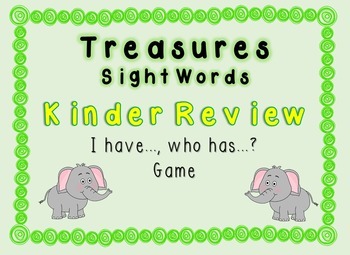 This game uses words from Treasures Kinder Review sight word list. 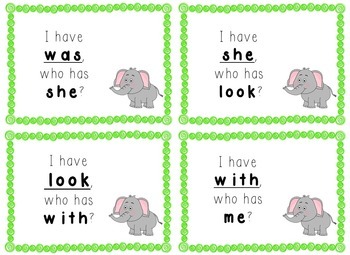 Pass out the word cards to the students (some students may receive more than one word depending on how many students you have). 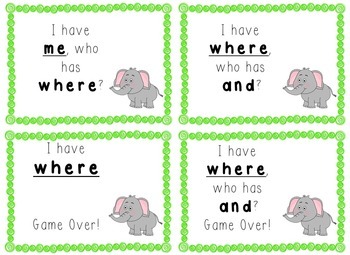 The student in the room who has the card that reads: I have THE, who has (next word) will raise their hand and read their card and the cycle will continue until the last word. 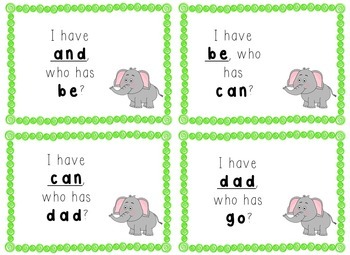 This set includes various options for the ending card so that you can add or subtract words if you like. Follow me for updates! Thank you! !